When searching for Kratom products you will find that a lot of suppliers classify the various strains using different colors such as white, red or green which comes from the color running down the central vein in the Kratom leaf. 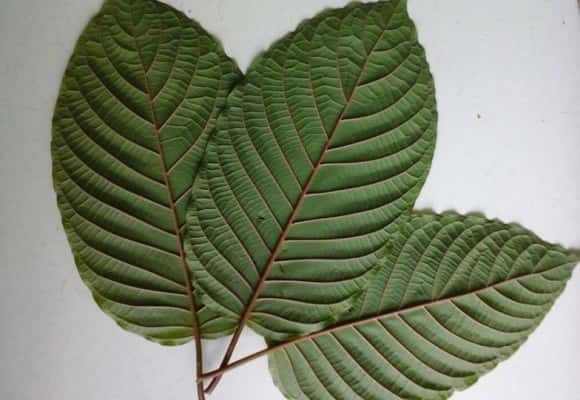 You have to look closely at the leaves on the Kratom tree and you can see that there is a faint coloring to the stem of the leaf and the vein that runs down the middle of it. This color indicates how a specific strain affects users physically and mentally. Although the stem is usually plucked from the plant before it’s processed into either crushed leaves, powder or extract the different colors in the stems and veins of unprocessed leaves indicate a different chemical makeup. Red Vein leaves are considered better for certain purposes and Green or White Vein leaves are thought to be more helpful for other effects. Each type of tree with the different colored veins thrive in different areas with specific climates which results in the trees having unique alkaloid contents giving them their unique and differing effects. This article will take a look at the different effects of White, Red, and Green Vein Kratom so that you can determine which strain is best for your purposes. The information contained herein is to be used as a general guide and people will see different individual results from the same strains. Green Vein Kratom products are known for being midway between the Red strains and the White strains. It acts to mildly boost energy so perks you up but doesn’t put you on edge. Those using Green Vein products are able to gain a centered state of mental focus and alertness which is a little more subtle than either Red Vein or White Vein Kratom. It’s used for pain relief but doesn’t cause drowsiness or lethargy which is common with other analgesics. The most popular brands of Green Vein Kratom are Green Borneo, Green Sumatra, Green Malaysian and Thai Green. For a more well-rounded and balanced range of effects users may at times combine Green Kratom with strains of Red or White. This will prevent the over sedation which comes from taking Red Vein powders but doesn’t make users overly stimulated which can happen using White Vein leaves. Green Kratom seems to be effective for treating social anxiety disorder and people do use this recreationally when going out in the evening. It helps people relax and be more interested in socializing as they feel more comfortable socially and find themselves able to be more talkative and willing to engage in conversation. Most Kratom products on the market today are Red Vein Kratom. This variety is known for a more calming effect which helps users release tension and unwind. It acts to quiet the mind and provide a sense of optimism and overall well-being. For those with insomnia Red Kratom is effective as a sleep aid. It’s also an effective alternative to prescription painkillers as its good for reducing pain and muscle tension. When people addicted to opiates are trying to withdraw they often turn to Kratom extracts and the strongest ones are of the Red Vein variety. There are a number of different products within the Red Vein family with a lot of diversity in terms of the effects they provide. Certain strains such as Bali Kratom are known for being extremely effective analgesics and others are popular for elevating one’s mood and bringing about a sense of elation. The intensity of the effects all depends on the dosage you take and this applies to all strains of the leaves. In small doses Red Vein Kratom can bring about a stimulating effect but all in all Red Vein products usually promote a feeling of tranquility and serenity. 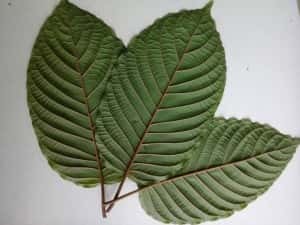 Kratom leaves with white stems and veins are usually used to promote energy and a positive mood. Sometimes they’re used as stimulants instead of caffeine for those wanting to be more awake and alert and to stimulate mental focus. Those who use White Vein Kratom capsules or powders often claim they are able to concentrate better and feel more motivated. They also seem to be able to better sustain long working hours. The thought is that it counteracts drowsiness and fatigue without causing a feeling of restlessness or anxiety. White Kratom is the best strain of Kratom for treating those who suffer from depression and weakness. For people who are too stimulated by caffeine or may become jittery or irritable when they use White Kratom. It might also cause you to sleep restlessly or even get insomnia if used late in the afternoon. In order to create a more comfortable energy boost users often combine White Vein powders or leaves with Red Vein strains. What is the Best Strain of Kratom to Buy? In determining which Kratom is right for you is really a matter of personal preference. There are some similarities between Red, White and Green Vein Kratom products but within each color there are variances in effects among users. Each strain works differently on different people. In order to figure out which one is the best for you buy a sampler pack of Kratom powders or capsules containing each color strain. Try them on yourself and note the effects and the variations and come up with the best solution for your own needs and biochemistry.